For the past few years I’ve been heading over to Belgium for a weeks riding. Instead of heading for Oudenaarde and it’s classic climbs I’ve been staying just north of Brugge on the edge of the polder. This low lying land that sits just behind Belgium’s 42 km coastline is often overlooked by cyclists who just pass through it heading south. However what they miss in their eagerness to hit the bergs is a hidden gem. The are is abundant with well maintained quiet rural roads and pan flat terrain. Navigation is very simple. Pick up a map from a book store or local tourist office and there are cycle routes criss crossing the area. Key junctions are numbered so riding is a case of a rather elaborate dot to dot. The area is very accessible for a mini break on the ferry to Zeebrugge – sail on Friday, ride on Saturday and return home by Sunday morning. 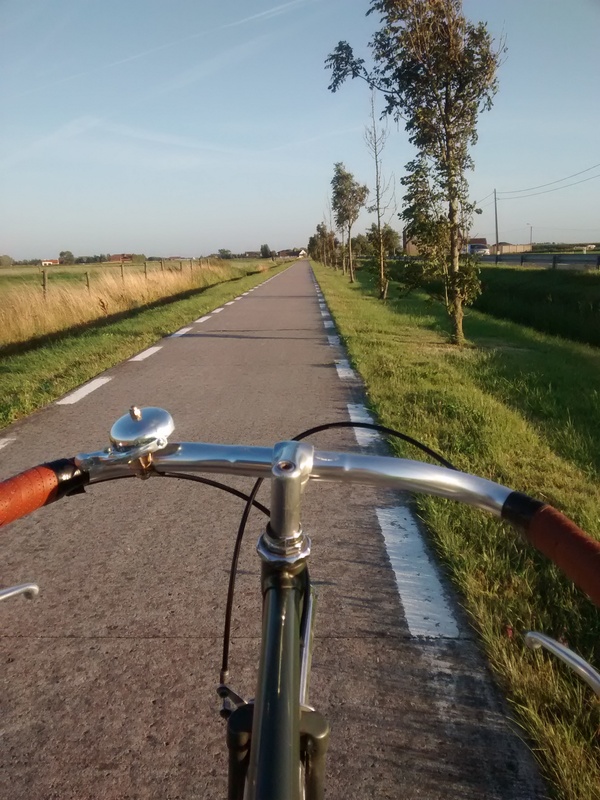 For more information on cycling in Belgium check out the Fietsroute website. Next post: Online retailers – We’re not all the same.